Are you staring at my Bass? We have some great ladies shorts coming out next week. They are available in Black, Pink, or Red. This is what will be on them. Get $5.00 our white vinyl Run Wild window decal. It’s time for our 4th of July Sale! $10 off any vinyl decal for your window with any purchase. Sale ends tonight at midnight. The independence is here and what better way to Run Wild than to give our loyal customers a $10 OFF coupon for any Vinyl Window decal with the any purchase. Use code DECAL. This offer is only good for the July 4, 2012. Here are our men’s and ladies shirts. They are great! It is summer time so now is the time to get those tanks. 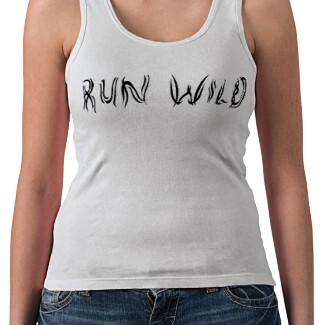 It gets hot and what better way to feel cool is wearing a Run Wild tank top. Finally, the mens shirts and decal designs are online! Purchase as many as you like. If you need a custom size for a window decal, please let us know. 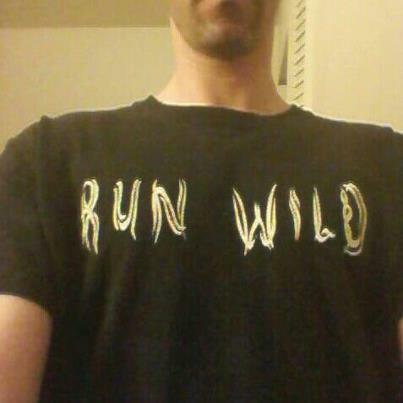 Run Wild is not just another phrase. It’s a way of life. For those that love to go Mudding, Hunting, Fishing, Four Wheeling, Biking, Camping, and anything else that involves dirt and woods, we want you to let loose and RUN WILD. Don’t waste anymore time! Get your Official Run Wild gear today! 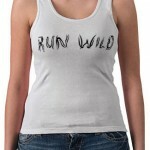 These are not yet available in any stores, so order today and be one of the first to wear Run Wild.